Lilongwe (Malawi), Jan. 8 : Vice-President Mohammad Hamid Ansari arrived in Malawian capital Lilongwe from Zambia capital Lusaka on Thursday afternoon on a three-day state visit. Malawi''s Vice-President Joyce Banda and other dignitaries of the Malawian Government received Vice-President Ansari at the Kamuzu International Airport here. The visiting Indian Vice-President was accorded a ceremonial welcome that included a guard of honor by armed red and black uniformed guards, colorfully attired Malawian female folk dancers and drummers. 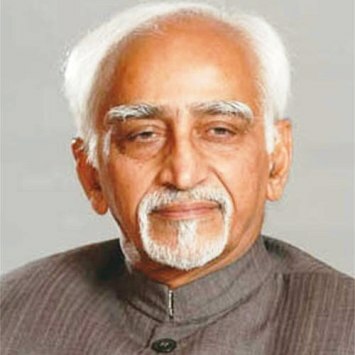 Speaking at the start of his visit, Ansari said: "I am delighted to be here visiting old friends. We are looking forward to the meetings and discussions with old friends." When asked what would be the focus of his discussions with the Malawian leadership, Ansari said: "Enlarge areas of cooperation for mutual benefit." Soon after his arrival in Malawian capital Lilongwe, visited the Civic Offices. In the evening, he will call on Malawi President Dr. Bingu wa Mutharika and attend a state banquet hosted by the latter. On Friday, Ansari will visit the Kamuzu Mausoleum to pay homage at the grave of the Malawian leader, which is located below. He will then have a meeting with his Malawian counterpart Joyce Banda and witness a signing of bilateral agreements. In the afternoon, he will undertake a two-hour-long visit to the Malawi Lake by road. In the evening, he will attend a reception hosted for the Indian community by Indian High Commissioner Ashok Kumar. Ms. Ansari will use her stay in Malawi to see Mother Teresa''s Orphanage in Kalawi.